Dear SAPLearners, in this S4HANA technical tutorial, you will learn how to launch web dynpro applications in same browser tab. In S4 HANA system, there are different types of apps available as tiles in SAP Fiori Launchpad. Web dynpro applications is one among them. When you configure a web dynpro application with default settings. Web dynpro applications will continue to open in a new browser tab and this is the default behavior with previous releases until S/4 HANA 1709 FPS01. 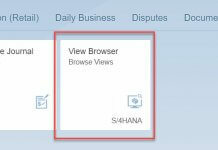 From S/4 HANA 1709 release, you can launch web dynpro applications in same browser tab. 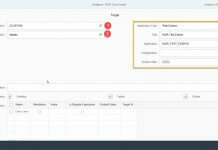 To activate this feature we need to configure a parameter in Target Mappings of Fiori Launchpad. The fiori launchpad parameter is configured using Shell-plugin. Lets see the steps to configure the parameter in launchpad. 1. 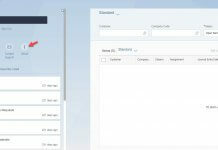 Launch SAP Fiori Launchpad Designer(FLPD). 2. Choose a custom catalog from the list. If custom catalog is not available create one. 3. Click on Create Target Mapping to create a new target mapping. A target mapping configuration page is displayed. This value needs to be written exactly like this. URL Leave this field empty. ID Enter an ID, for example Z_FLP_CONFIG. 5. Click on Save to save the target mapping. 6. Add the custom catalog in PFCG role and assign the role to the users. 7. Finally configuration is completed. Now launch SAP Fiori Launchpad and test the tile, you should notice that web dynpro application will open in same browser tab. Congrats..! you have successfully learned how to launch web dynpro applications in same browser tab.